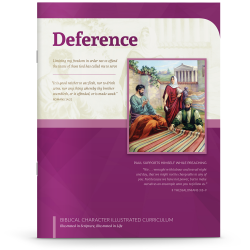 Overview: This first section gives the “why” and “how” behind teaching character, dives into the definition of obedience, and examines related Scriptures to facilitate meditation on God’s Word and a focus on the attributes of our Lord. 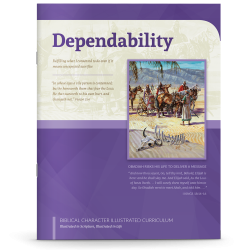 Lessons: Each of the four lessons focuses on an important aspect of how God enables us to demonstrate the featured character quality. 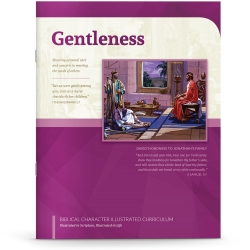 A lesson includes a Bible story passage with questions to promote discussion as a family, a coloring page, memory verse application, and an activity to make the character focus in your home fun and memorable. Additional Resources: This section highlights a hymn and hymn story corresponding to the character quality, the salvation message which is the beginning of all good character, and a journal page to record application opportunities. 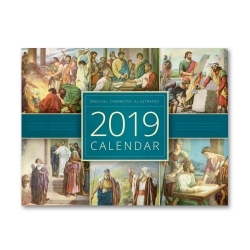 We hope that these resources are a blessing to you and your family as you draw closer to our Savior through every situation and seek His face each day. “Thank you for putting this character curriculum together. 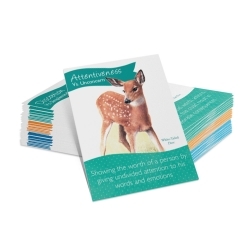 My children have really enjoyed having the qualities laid out in such a fun and easy way to understand . . .